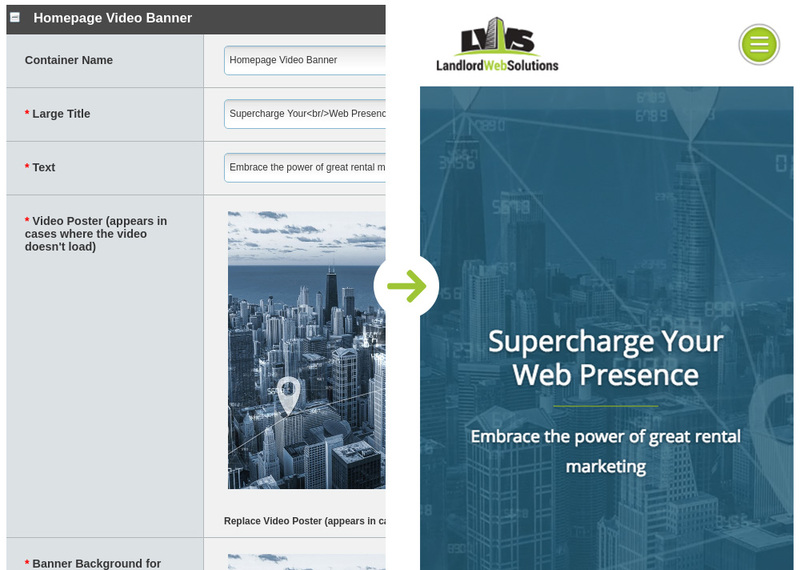 Did you know that we build our website on the same platform we build our customer websites on? That means sometimes we feel the pain and limitations of the platform when managing our website content. That also means we can improve the platform and share each new upgrade with our customers. 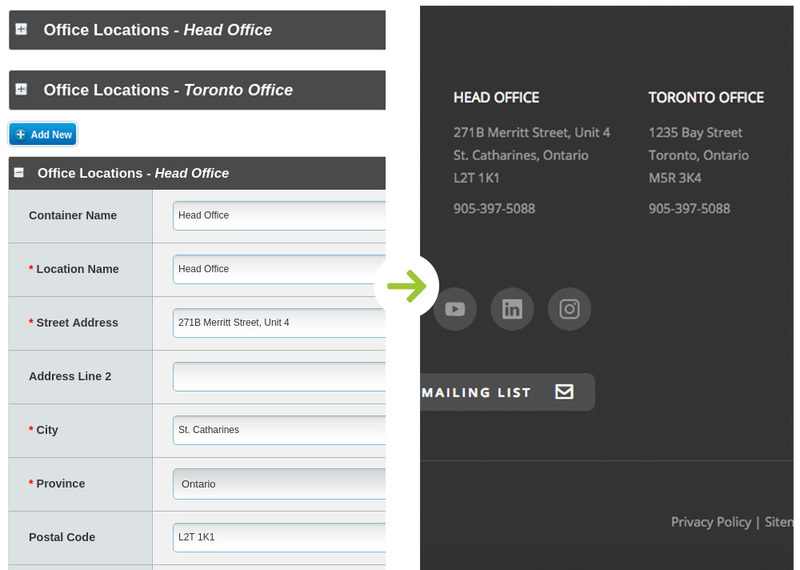 Custom fields were our go-to for customized content for website settings and any customized content or special controls required to manage websites from within the LIFT System. 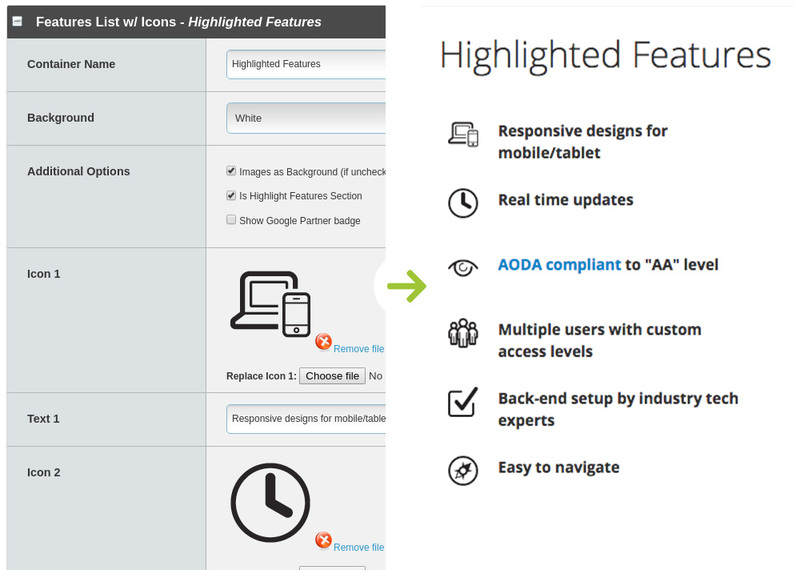 Now we have a new tool we use to create better interactions between LIFT and your website. We've created specialized content blocks, customized for your website design. 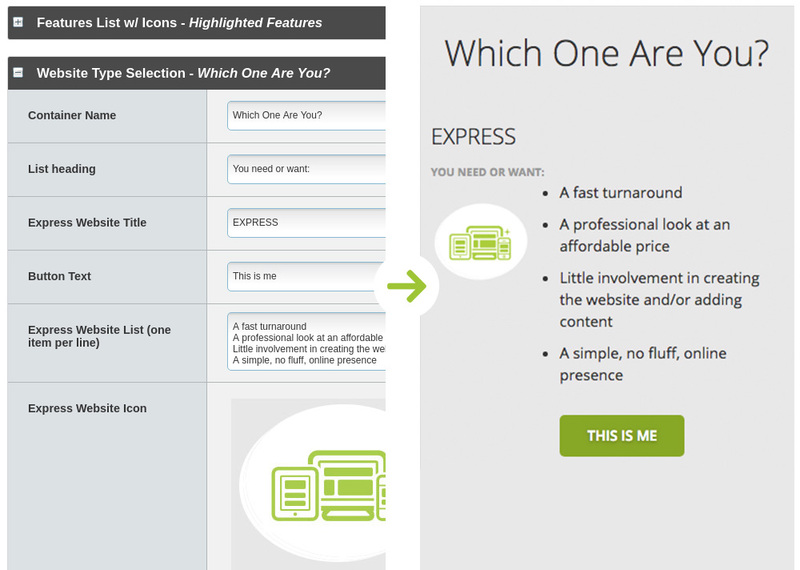 This editor offers a new, organized, and pain-free way to manage customized content and settings on your website! 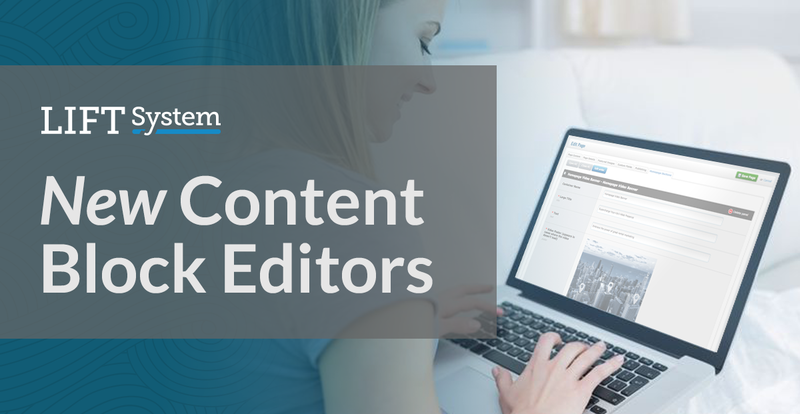 Our new Content Block Editors replace the need for custom fields that build up and make it harder to find what you're looking for when trying to modify your website. The new editors improve flexibility for our designers and developers, and also improve our customers' experiences when managing content. Everyone's a winner! Here are some examples of the content we are managing on our own website using our new content block editors. If you have any questions or feedback please ask our support teams by using the Support button in the bottom left-hand corner of LIFT.